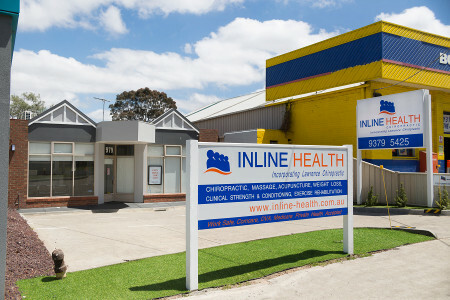 Dr Christopher Vandeloo and the Inline Health team offer professional spinal healthcare, clinical strength and conditioning, dietary advice, acupuncture, naturopathy and remedial massage services to help deal with a range of health problems and work related conditions. Dr. Christopher Vandeloo (Chiropractor), Dr Andrew Lawrence (Chiropractor) and the Inline Health Chiropractic team of health professionals implement modern, scientific, Chiropractic care in conjunction with clinical strength and conditioning, acupuncture, massage, naturopathy and sports therapy to treat a range of health problems and work related injuries. 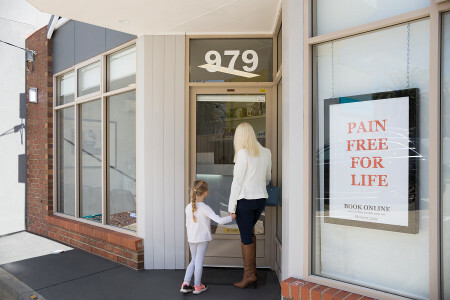 Our Essendon location has a custom Clinical Strengthening and Conditioning facility to accompany our experienced treatment of chronic pain, Worksafe injuries, Transport accident related injuries, bulk billed chronic disease management and spinal healthcare management. We offer on the spot private health claims, and we bill directly to third parties such as Worksafe, the Transport Accident Commission, the Department of Veterans Affairs, and Comcare. This leaves the patient with no out of pocket costs. We also accept Medicare plan referals, which can be obtained from your GP. No out of pocket costs for National Disability Insurance Scheme patients that have prior approval for services. Whether someone is seeing us for post stroke recovery, ongoing headaches, a workplace injury or something else, our exercise prescription and chiropractic services are adjusted to the unique concerns and desired outcomes for the individual person that we are treating. For over 40 years, our healthcare professionals have worked with private businesses to provide educational and intervention programs to reduce the occurrence of workplace injuries. Our mobile services can be hired out to workplaces for prevention programs, health talks or injury management. Businesses can organise for their employees to receive a % discount on all services at our permanent sites. We strive to show individuals how to maintain better and healthier lifestyles. 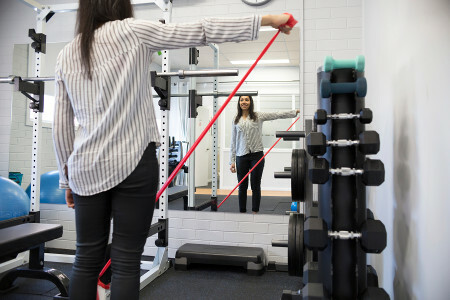 Through our unique strength and conditioning program, we incorporate exercises both in our clinic studio and at the patient’s homes to produce the desired long-term results. 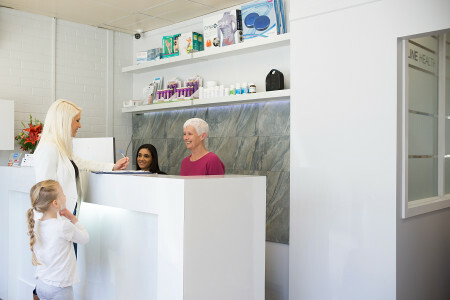 At Chiropractor Essendon, thanks to incorporated technology and a personalized mobile app, patients can follow video instructions on recommended exercises to complete between appointments. Plus, individuals are able to record their progress and communicate with us via text message or Skype to address any follow up concerns. Families are welcome to book a complimentary 15 minute spinal check-up for each member of their household. Emergency services are also available at Essendon Chiropractor practices and we can be reached after hours at any time. Looking for a local chiropractor? Book today. Our multi-location clinics are open all week until late and on Saturdays & Sundays. 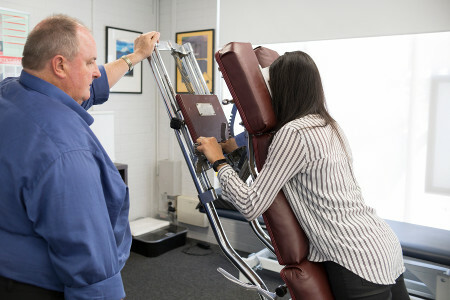 We offer our Clinical Strengthening and Conditioning facility at our Essendon location, which has a customised training studio built into it alongside of our traditional chiropractic equipment. While it may feel more like you're visiting a personal trainer than a chiropractor, we offer a comprehensive menu of services that enhance the health of our patients. Is this your first experience with Chiropractic? Unsure if it will suit you and your condition? We are pleased to offer a complimentary 15 minute spinal check-up, in which we will advise if Chiropractic care can help you.